The house was built late 17th century....'a fine example of Restoration architecture' and was used in the TV adaption of Pride and Prejudice. 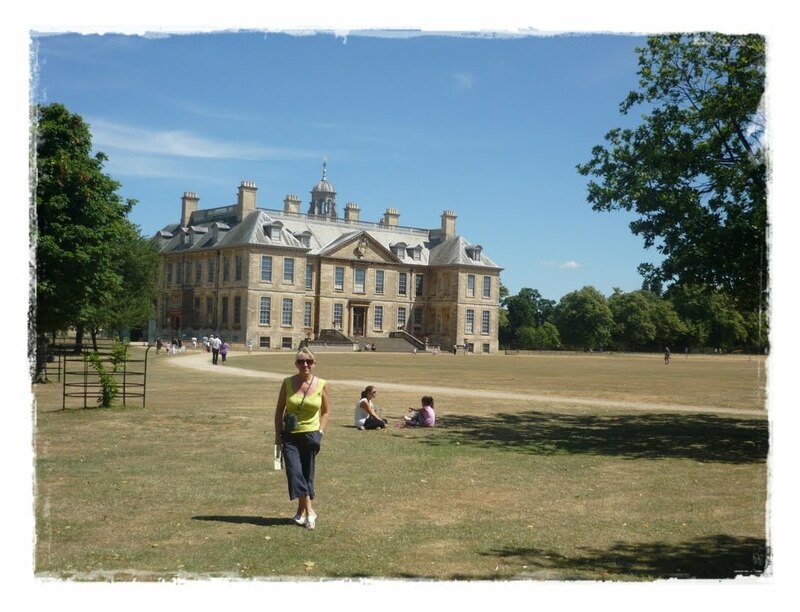 Just think, Colin Firth may have stood on those lawns......but you'll have to make do with me. 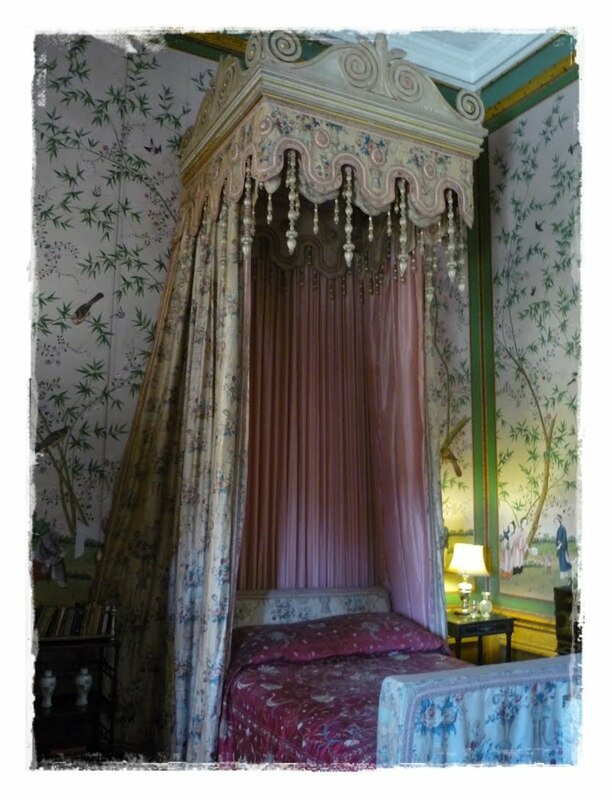 I'm always fascinated by the amazing beds in these places...my favourite is the blue bed at Calke Abbey which has a brilliant story to it (next time :-) but this was the best one at Belton......in the Chinese room where the walls are covered in hand-painted silk wallpaper. And finally.......I decided to join KiwiCaroles journal workshop last week, click here for link. I love all the vintage stuff thats being done but I'm not so good at that so I'm being a bit of a rebel. Nice photos, Linda. That little kitty is adorable; I can see why you wanted to keep her! So much to comment on. First--Princess Peaches--nothing cuter than a kitten and I'm not even particularly fond of cats--the mansion-fabulous and that bedroom!! Love the pages you made for Carols class--I have it bookmarked for the next class I take!! GORGEOUS photos ummm what a bed!!! good job of salting the colors! so many classes how can we choose!!! 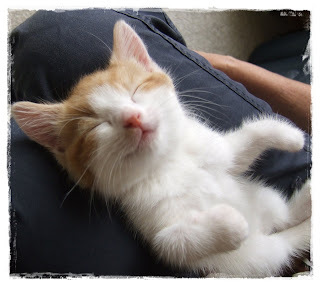 Super post - adorable kitten, lovely photos and more to come. 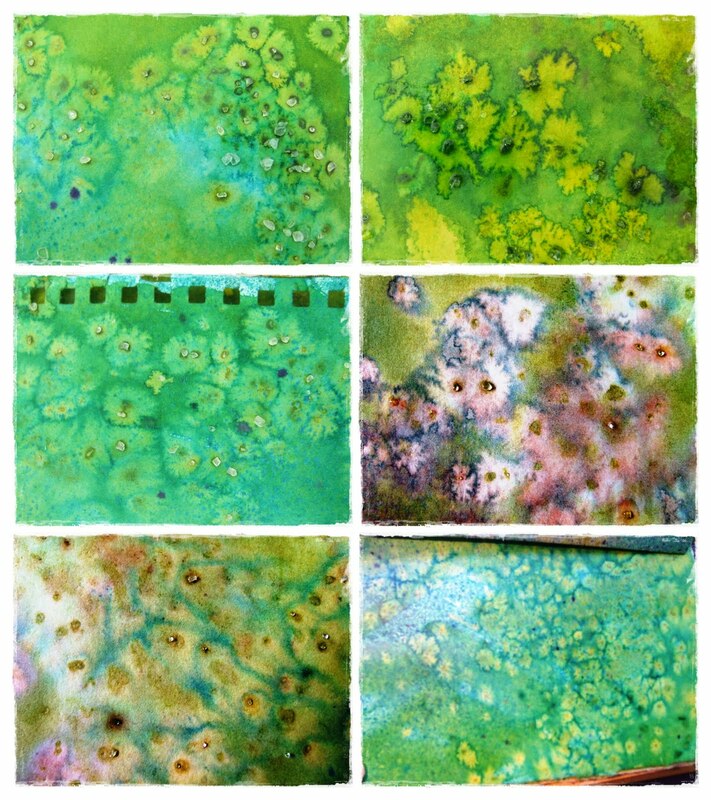 Your papers for the journal workshop are absolutely gorgeous. I keep coming across wonderful journals on various blogs and would really like to have a go myself, but am too busy with other things right now. Looking forward to seeing your journal take shape. What a great post--a little something for everyone. 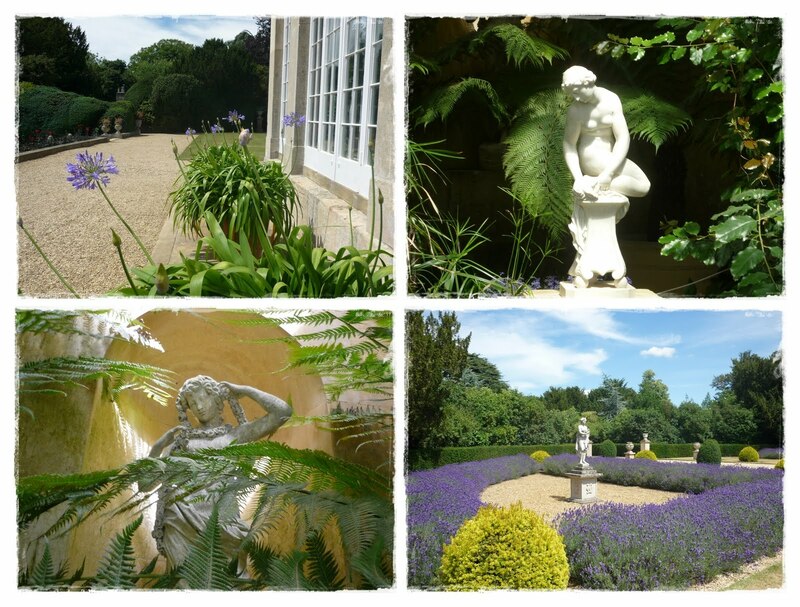 Those photos of the Belton House are beautiful--I love going to places like this. And, I'm ALWAYS inspired by any thing you touch! P.S. Love that that sweet little kitten too--I can understand why you would like to adopt another one. P.P is a darling little kitty, and I wouldn't want to let her go either! Thank you for sharing your photos of your NT trip. Beautiful! I hope to be in England this fall and I am sure I would love to see this place too. Otherwise, it looks like a fab class, and your journal is going to be incredible! I can tell you are loving it, and that is a good thing. Oh my, such gorgeousness today!! Little PP is so exceedingly cute, your NT 'adventures' look wonderful and as for your creations, well, you surpass yourself everytime, my dear friend. So looking forward to seeing more peaks inside your new journal. Like your salt and ink, looks a riot of flowers to me! I am very partial to cats so I think she is absolutely delicious looking. Looks like you had a wonderful day. I love your water colour papers for your book. The colours are so very vibrant. Ohh that little cat , that is love at the first place . The workshop looks good with you beautiful colored papers . princess is adorable and wonderful photos! 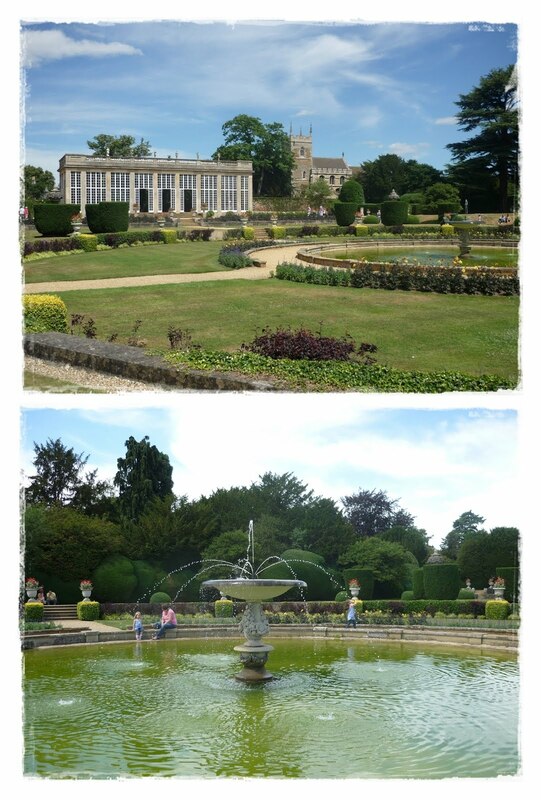 the bed and the grounds are just incredible!! GREAT pics and I can see why it was love at first sight with the kitten! Love your handmade papers....your photos and the embroidery. I have missed out on so much and seeing what has been created. Princess P is quite a little poser and so very precious too! I am SO excited you've joined in Kiwi Carole's Journal Class Linda! Your dh's photo makes me giggle you two are fun and the places you visit ... oh so lovely too as are you dear friend! look at that cute cat and what a purrfect photo..like the photo of your dh with the flower ha ha ha. Now that journal class sounds like me..madness and mess! love the salt and ink pages and glad I gave you an idea to use beads..I just use red line tape to stick a whole row of them on. This is my first visit to your site. All I can say is WOW! Love your work. The fearlessness that you show in your use of and blending of color is inspiring. TFS. And the kitten is beyond precious. Any chance you can sneak her into your bag on Friday? I am sorry but I cannot see that place without the image of Colin Firth on his wet shirt. Your journal pages are looking great. Miss Princess is adorable, but listen to your husband girl. This my most favorite post that I have read today, probably all week! First the darling kitten, then the house used in an Jane Austen adaptation, and then your papers that you created so beautifully! Can a blog post contain more enticing elements? I think not ~ Thanks for the Fabulous post today! Aw the kitty is so cute......I bet you end up with one too hehehe. oo linda, you are too funny! 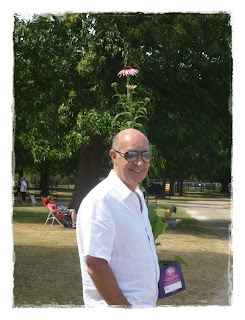 i love the plant coming out of hubby's head!! a baby grandkitten...sqweezable!!! i adore kittens and would be the crazy cat lady if my family would let me...sigh...your papers are beautiful!! Oh Linda she is so darling. So beautiful princess. Thanks for sharing. Your artwork is fantastic again. Love it. How exciting to stand on the lawn of the house that was used in P & P. The house is gorgeous, isn't it? your signatures are fab - are you using coptic stitching? really good photography too - hope like me your better half doesn't look at your blog! hows your SB class going? I came from Katie at Ragamuffin Gal and I'm pleased I did! Princess Peaches (cool name) is just adorable and so cuddly. Great photos - kitten, bed, husband, inked/salted pages (what fantastic colours! )etc etc. I'm off now with a smile on my face. Enjoy your weekend. Your pages are gorgeous!! I can see a garden full of flowers just looking at them! Also could I do these papers with the Ranger inks to you think? I wrote a long comment on Princess Peaches that blogger ate and even was cheeky enough to burp afterwards! So anyway love the day of the triffid (sp?) photo and your latest inked papers. Let's see if this one gets eaten or not.